This location is still serving as of 12/20/14. Breakfast T,Th. Lunch W, S. The Church is on the corner of Marcus Garvey and Kosciusko, not where the above map shows. Go down the steps to the basement. Today was chicken over rice with broccoli and cauliflower and a slice of bread. Coffee and juice were available to drink. A cup of apple sauce was available to go. Don\'t try to get your own coffee, the woman there will prepare it for you. Don\'t put your gloves or other personal items I suppose on the table where you eat. The women volunteering there will ask you to remove them. Your opinion matters. 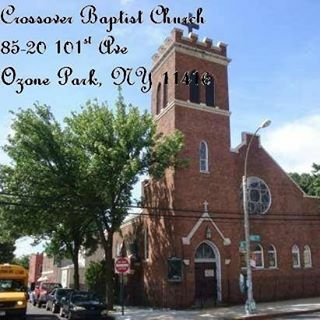 Leave A Review Or Edit This Listing for Crossover Baptist Church. We always need more information on our pantries. If you know of any details, volunteer information, website, hours or more description information about Crossover Baptist Church please add a comment (below the map on this page), with information. We will then display this for all visitors on this page.